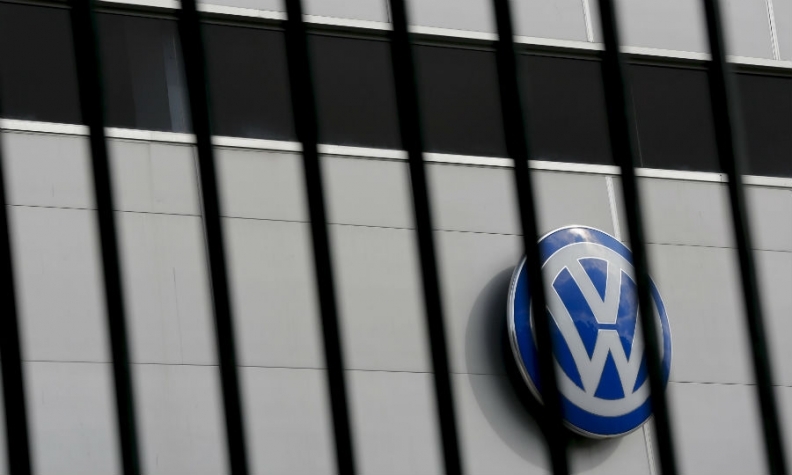 SEOUL -- A South Korean court sentenced an executive of Volkswagen Group's local unit to one year and six months in prison for fabricating documents on emissions and noise-level tests to achieve certification for vehicles for import. This is the latest fallout from VW's emissions-test cheating scandal that last year resulted in a sales suspension in South Korea, a once fast-growing market for the German automaker. "Volkswagen has by itself undermined its credibility as a global brand as a result of this crime which has caused grave social and economic damages," the Seoul Central District Court said in a statement Friday, referring to the suspension. The court statement only gave the surname of the executive, Yun, and said he was convicted of document fabrication, obstruction of work and the violation of an environment law. In August, South Korea's environment ministry suspended the sales of 80 models of Volkswagen, Audi and Bentley vehicles, and fined the group's local unit 17.8 billion won ($14.91 million)for allegedly forging documents on emissions or noise-level tests. South Korea has taken a particularly hard line against the automaker, filing criminal complaints against executives including Johannes Thammer, managing director of Audi Volkswagen Korea, raiding their offices and fining the company an additional 37.3 billion won ($31.87 million) for false advertising. "Audi Volkswagen Korea (AVK) has fully cooperated with the Prosecutor's Office and will participate in good faith in the upcoming court proceedings," the unit said in statement after Yun's conviction. Seoul prosecutors are still investigating the case.